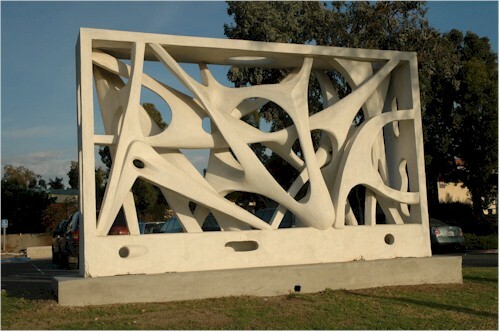 This sculpture is between the perimeter road and one of the parking lots at MiraCosta College in Oceanside. I don't know much about it, but find it interesting. Check the rollover image for another view of it. I've been going to meetings at various colleges all week. It's been fun getting to know the people, procedures, and places to go at two new campuses.